Sharjah: Customs officials at Sharjah International Airport have arrested an Egyptian man and his wife after they attempted to smuggle their infant son into the UAE in their luggage. The attempt was discovered on Saturday morning after the man, in his 30s, and his wife arrived at the airport from Egypt. 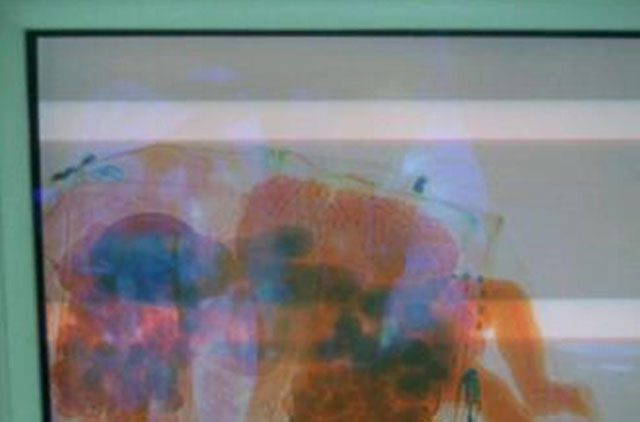 An investigation was launched after an X-ray machine showed the child was hidden in the hand baggage. The baby boy, who is just a year old, had no visa, passport or official documents allowing him to enter the UAE. A police official told Gulf News: “When customs officials saw the baby inside the bag at the X-ray scanner, they were stunned. “This machine is very dangerous for anyone, let alone a baby in a bag to pass through.